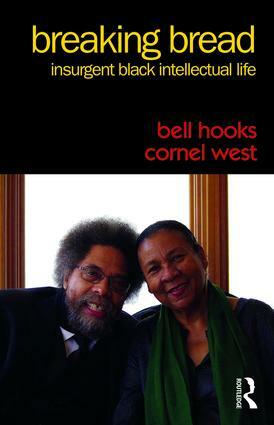 In this provocative and captivating dialogue, bell hooks and Cornel West come together to discuss the dilemmas, contradictions, and joys of Black intellectual life. The two friends and comrades in struggle talk, argue, and disagree about everything from community to capitalism in a series of intimate conversations that range from playful to probing to revelatory. In evoking the act of breaking bread, the book calls upon the various traditions of sharing that take place in domestic, secular, and sacred life where people come together to give themselves, to nurture life, to renew their spirits, sustain their hopes, and to make a lived politics of revolutionary struggle an ongoing practice. A cultural critic, an intellectual, and a feminist writer, bell hooks is best known for classic books including Feminist Theory, Bone Black , All About Love, Rock My Soul, Belonging, We Real Cool, Where We Stand, Teaching to Transgress, Teaching Community,Outlaw Culture, and Reel to Real. hooks is Distinguished Professor in Residence in Appalachian Studies at Berea College, and resides in her home state of Kentucky. Explore more from bell hooks!